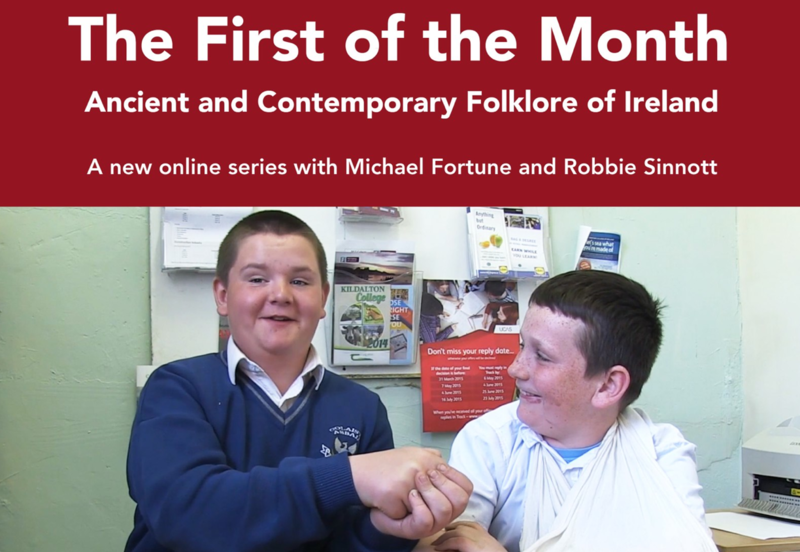 The First of the Month - Join Michael and Robbie throughout 2018 for a themed discussion relating to folklore, custom, ritual and song in Ireland today. This new collaboration stems from a relationship which Wexford natives Michael and Robbie have developed over recent years where they will exchange accounts and stories from around the country and share their own personal observations on the living folklore and language within Ireland today. Their true connection with the subject matter and their respect for the people who impart their stories, knowledge and experiences has urged them to produce this monthly series. Each programme will include individual and personal accounts on video from various contemporary sources from around Ireland and also feature traditional songs relating to the various themes discussed. This self-produced initiative is operated on a zero-budget and fuelled by goodwill. It aims to expand the conversation around folklore, give a voice to people and their stories and ultimately reach audiences other than those involved in academic research.